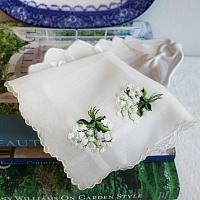 Gorgeous Vintage Swiss Handkerchief with stunning Muguet de Bois, or Lily of the Valley Bouquets. 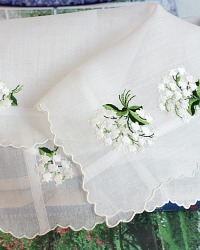 Made in Switzerland, the Swiss have long been world-renowned for their fine linens and embroidery work. 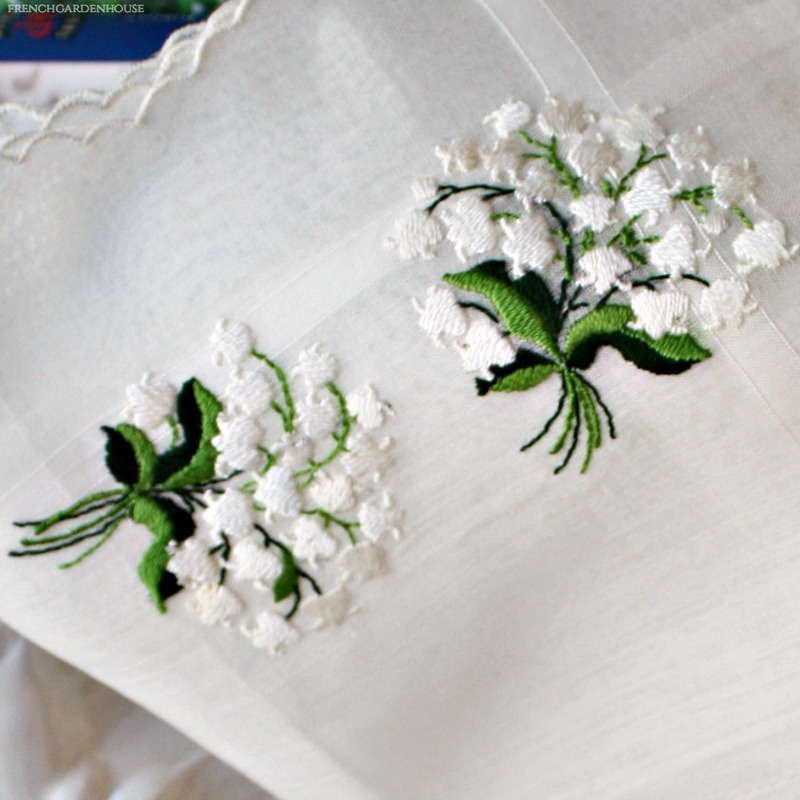 Not just the symbol of May Day, the Lily of the Valley is known as Our Lady’s Tears because folklore has it that the flowers grew from the tears shed by the Virgin Mary at the Cross. 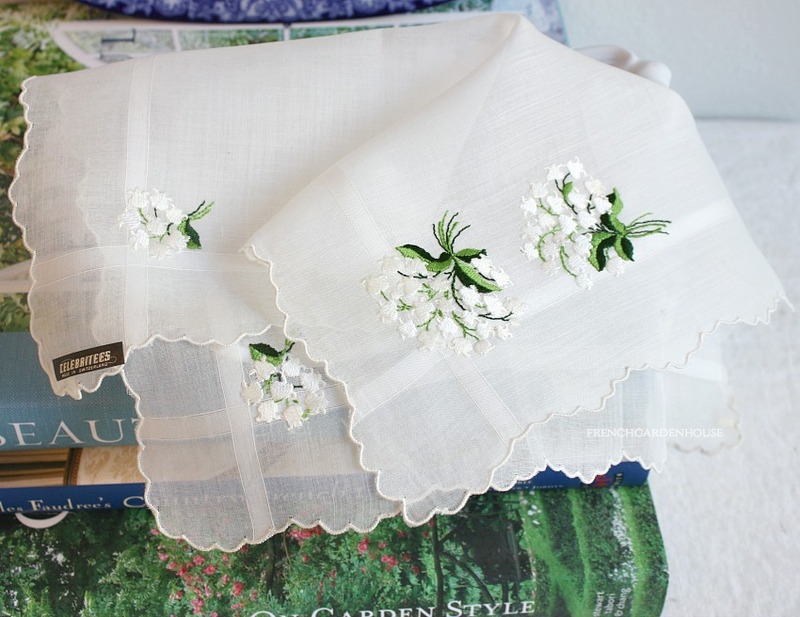 Sheer fine luxury quality batiste is gorgeous, this is unused and I have not ironed out the original creases. 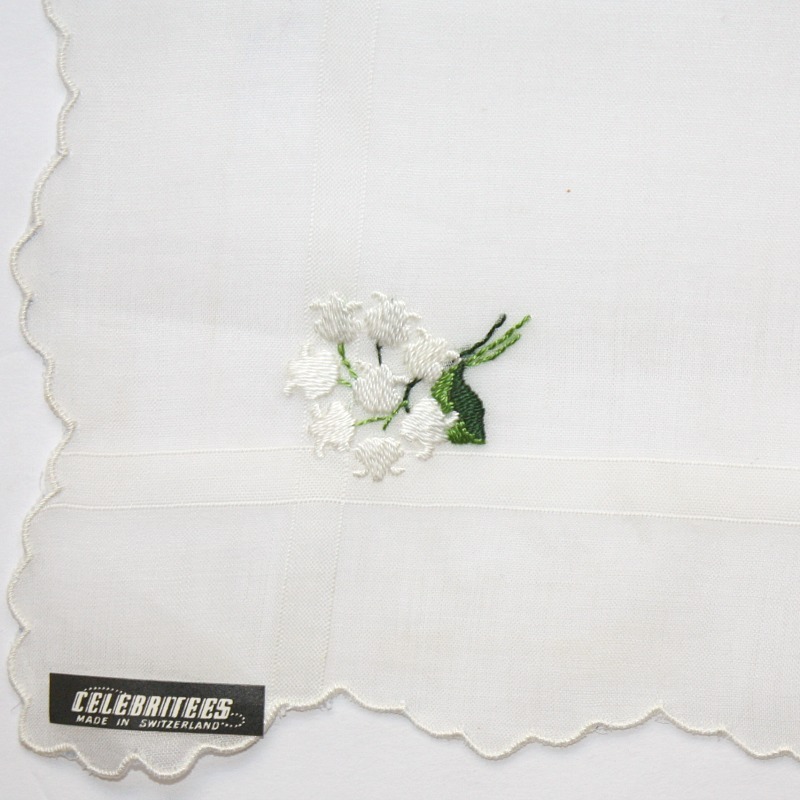 The embroidery work on this delightful collectable handkerchief is exceptional. There are five floral bouquets scattered about the perimeter of the linen. 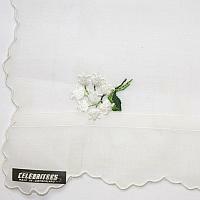 Fabulous for your collection of antique and vintage hankies.